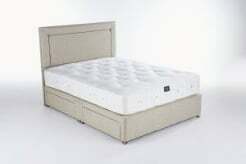 What are your John Ryan By Design mattress sizes? What are the measurements of your king sized and upwards beds. Why don’t you put the measurements on your website?! Our Zip and Link mattress measurements are slightly different, even though they form the same overall measurements, due to the mattresses being split into 2 single units that zip together. All of our measurements can be found on the following article published on our website. With weights and all dimensions. Below is a handy list of the most freuqnetly asked mattress sizes and weights. I hope this has answered your question fully but if you have any further queries, please don’t hesitate to contact us on 0161 437 4419.